Bored of sandwiches? Both kids and adults will love the diversity and benefit of a bento box themed lunch. Fun! Opening up a bento box full of different colors, textures, shapes and sizes are visually pleasing. Fresh! When you keep things in compartments rather than mixing them together ahead of time, your food will often taste fresher. Focused! 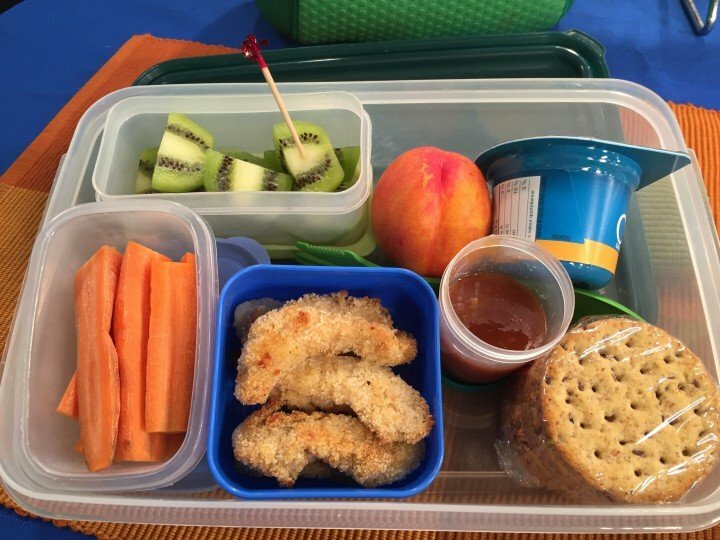 It is easy to get more of the healthy foods such as fruits and veggies that you need in a bento box themed lunch. What are the components of a healthy bento box lunch? 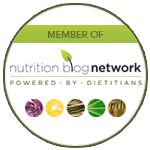 Grains/starches: such as bread, pita, wraps, crackers, homemade muffins, pasta, potato, rice, quinoa or other grains. These offer fibre, B-vitamins and carbohydrate needed for your brain and muscles for energy. 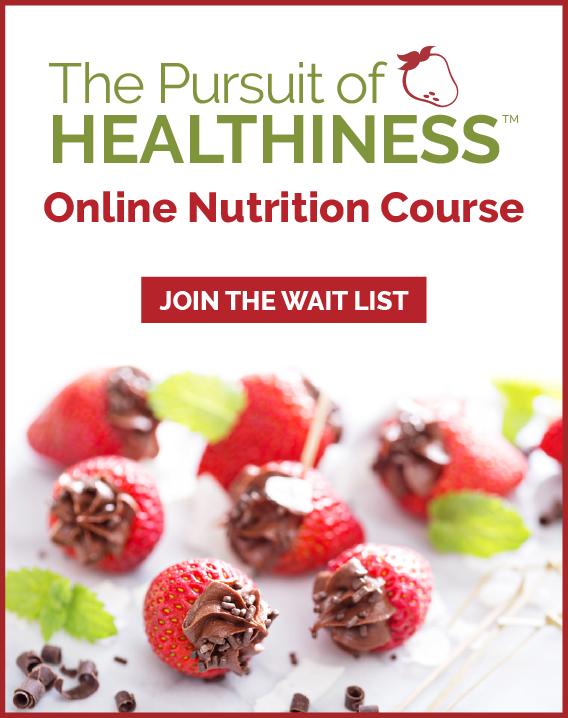 Veggies and fruit: such as fresh fruit, frozen berries, canned unsweetened fruit, dried fruit, raw veggies, leftover cooked/grilled veggies, vegetable soup or salad. These offer fibre and health promoting vitamins, minerals and phytonutrients. 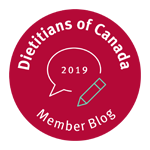 Source of protein: such as leftover meat/poultry/seafood, legumes (such as chick peas, lentils, black beans, refried beans and more), cheese, yogurt, cottage cheese, canned tuna/salmon, hard cooked eggs, tofu, nuts and seeds. These provide iron and protein key for sustaining energy and fullness. Mexican bento box: In divided containers place small flour or corn tortillas/taco chips, refried beans/seasoned meat/tiny cubes of cheese, salsa and guacamole. Serve with cubed honeydew or cantaloupe. 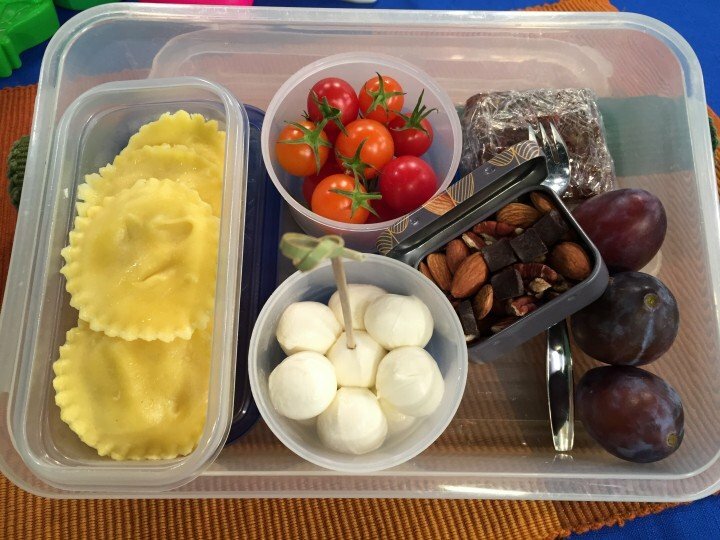 Italian bento box: In divided containers place pasta mixed with pesto sauce, mini bocconcini cheese balls, grape/cherry tomatoes with fresh basil leaves. Serve with strawberries or apple wedges tossed in lemon juice to prevent browning. Dip fruit in ricotta cheese mixed with honey and cinnamon or Greek vanilla yogurt. Snack attack bento box: In divided containers test out different ideas from the 3 components of a balanced meal such as: mini muffins, crackers, pretzels, popcorn, grapes, strawberries, cantaloupe cubes, cucumber rounds, red pepper wedges, carrot sticks, cheese wedges, pumpkin seeds, grilled chicken, meatballs, black bean salad, hard cooked eggs, rotini pasta or tortellini with pesto. Chicken finger bento box: Bake a big batch of homemade baked breaded chicken breast strips and serve chilled with plum sauce. Include cucumber sticks and cherry tomatoes along with fresh fruit and yogurt and granola. Breakfast for lunch bento box: Make a big batch of whole grain French toast on the weekend and refrigerate or freeze in thin strips. Serve with cream cheese or no-nuts pea butter (if your school is peanut free) and jam (or provide a small jar of maple syrup for dipping). Serve with cottage cheese or yogurt and fresh or frozen berries. Are you feeling inspired to make some creative lunches? Maybe wanting more ideas? 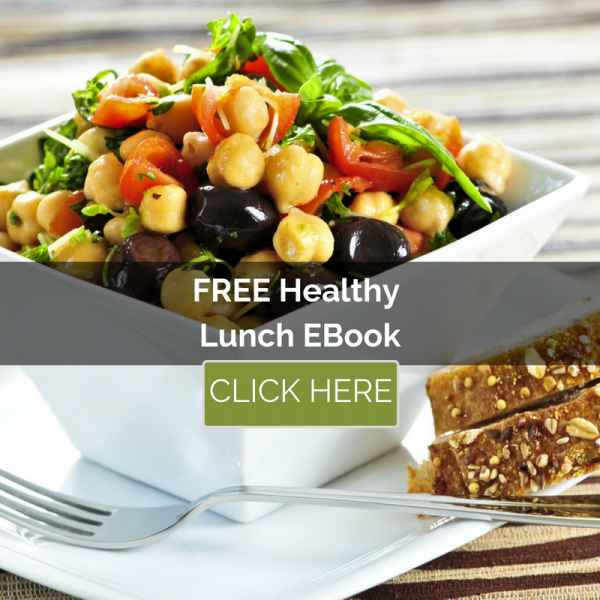 Download our FREE Lunch Ebook HERE for a curated collection of tips and recipes.